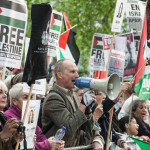 A fantastic demonstration was held in London on Nakba day, with over 500 protesting against the Israeli politician, Tzipi Livni, who is wanted for war crimes. Livni was speaking at a Fundraising dinner for the Jewish National Fund (JNF) being held in Jumeirah Carlton Tower Hotel, central London. 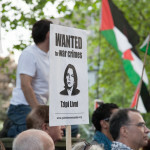 To prevent Livni’s arrest for war crimes, the British Government shamefully issued Livni with a certificate of immunity from prosecution for her stay. 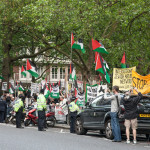 PSC was quoted challenging the decision in the Guardian>. 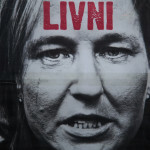 Livni was one of the architects of the Israeli attack on Gaza 2008/09 which led to the deaths of 1,417 Palestinians – 313 of them children – and injured 5,303. At the fundraising dinner Livni tried to defend these murders saying: “I am very proud that I made decisions to defend my own people against terrorists” . 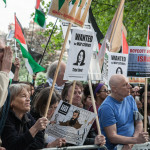 She claimed she proudly displays a “wanted” picture of herself in her home alongside a similar photograph of her father when he was in a Zionist terror group during the pre-1948 British Mandate period. This isn’t consistent with what is known about the para-military terror group, Irgun, that her father belonged to. 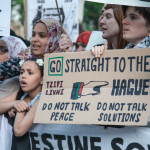 Two of the operations for which the Irgun is best known are the bombing of the King David Hotel in Jerusalem on 22 July 1946 and the Deir Yassin village massacre, carried out together with Lehi on 9 April 1948. 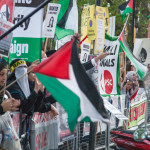 Livni made this speech to the JNF on 15 May, despite her awareness that this is the day Palestinians annually commemorate the Nakba – their catastrophe. In 1948, 750,000 Palestinians were driven from their homes by Israeli Zionist militia, creating the world’s largest refugee population. Palestinian men, women and children were massacred, and their homes and villages destroyed. 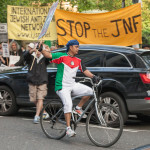 The JNF was complicit in this act of ethnic cleansing and continues to expel Palestinians from their land, yet it enjoys charitable status in Britain. 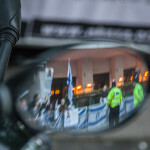 Other events took place around the country to commemorate the Nakba and raise awareness of Israel’s continued ethnic cleansing. Two Palestinians were killed by Israeli Forces in demonstrations at Ofer.